Draperies, these heavy fabric curtains, which span the length of your windows, are a blessing for when you need to block out sunlight, or refuse nosy neighbours a look into your personal life. At the same time though, they are a real pain to keep clean and fresh due to their size and weight. Usually draperies will not tolerate conventional cleaning too well, and will not withstand spinning around for hours on end, in the washing machine. 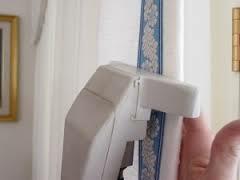 In most cases where people have machine washed their draperies, they have ended up with fabrics which are crunched up, permanently creased, faded or otherwise damaged by aggressive conventional cleaning. Washing draperies by hand, in order to avoid the damage caused by machine washing is also highly inefficient as it is hard work, and most likely you will end up with nasty washing powder stains along the fabric. Our specialised London drapery cleaning service though, will save your fabrics from all that can go wrong, and keep your draperies clean and fresh without damage at all times. The entire cleaning process takes place in the comfort of your own home, as we work with professional grade cleaning systems and equipment which allow for onsite treatment of all types and size draperies. Our London drapery cleaning service is carried out by qualified cleaning technicians who are specially trained for the task. The exact cleaning method will be determined by the type of fabric and the level and nature of staining or soling sustained. 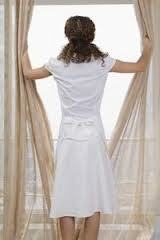 Apart from staining, the biggest problem for heavy draperies is dust and bacteria. These thick fabrics accumulate a great deal of dust and bacteria quite easily, and cause poor indoor air quality. Our cleaning treatments are specially designed to deal with specific problems like dust and accumulated bacteria thus giving you lasting freshness throughout the length of the drapery. Customers must be advised though, that sunlight damage i.e. fading is considered permanent and cannot be reversed by professional cleaning treatments. Our professional drapery cleaning in London is perfectly suitable and safe for all types of synthetic and natural fabric draperies, and will not cause them to shrink. The drapery cleaning service in London is performed using nontoxic cleaning products and materials, which leave no trace, odour or residue in the drapery fabric. Customers should find the service to be reasonably priced, and convenient. We offer week round servicing with flexible hours.